Children, parents and providers are set to benefit from improvements to the free pre-school ECCE scheme from this September. Childcare providers throughout the country will receive an increase of 7% in their capitation payments for the ECCE preschool programme in September. Approximately 120,000 children benefited from this universal scheme last year which offers 15 hours per week of free preschool to children across the school year. The scheme is being extended from September to offer up to two years (76 weeks) to every child from the age of two years and eight months until they start in school. Childcare providers will see the weekly payments for children registered on the scheme rise by 7% to as much as €80.25 where staff have degrees, or €69 where staff have the minimum qualification of Level 5 and 6. 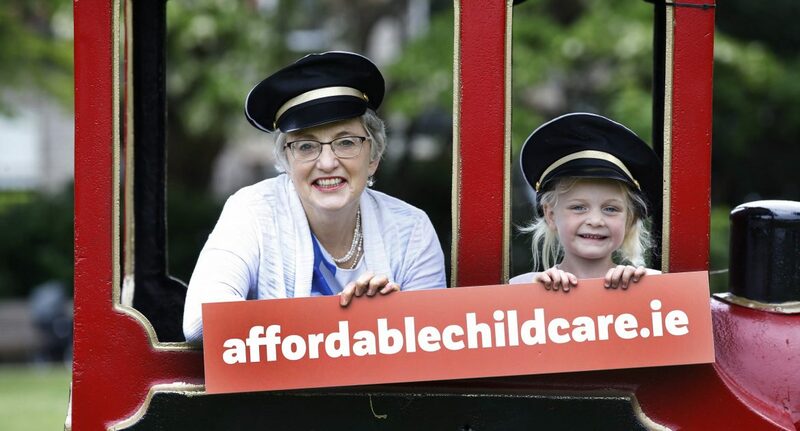 The additional funding was secured by Minister Zappone as part of the Budget 2018 negotiations as a step towards improving the working conditions of childcare workers and therefore the quality of care and education received by children. “Much has been achieved over the past year with regards to achieving our goal to transform childcare in Ireland. The infrastructure for the new Affordable Childcare Scheme is beginning to take shape. The State’s first piece of legislation enabling the subsidisation of childcare has been passed. The contract for the development of the IT system for the new scheme has been awarded.